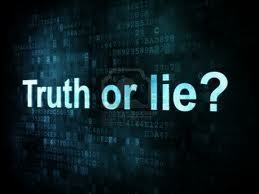 In the world today, many seek “The Truth“, to many different things in life. Whether it be to a situation that they are in; or maybe even to something that is within themselves. But I tell you today, that TRUTH can only be found through God. If we rely on our own logic, we will surely stray further and further away in finding it. As human beings we have become so dependent on what we can intellectualize or rationalize; that the current condition to which we see the world today, is the result of relying on that flawed human logic. God has constantly showed us this through all the religious texts out there; to even various event in World History. Our decisions and conclusions resulted in the world that we see today, before our eyes. As the end of times grow nearer, with each day that goes by, we have to become stronger in our faith in the Creator. The world around us may challenge that faith. But the challenges only make us stronger, and refine us to the greatness that God originally created for us to be, as the Perfection for His Eternal Kingdom. To which was initially seen with Adam & Eve; before they fell to the temptation of Satan. 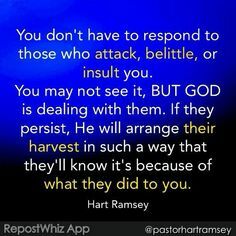 We have to realize that God’s people will be ridiculed and persecuted, with each step that is taken to advance in their path to God. Some may be falsely accused of things that they did not do, as well, just as Jesus was. JESUS’s LIFE, in what He had experienced, and to what He had endured, is what forshadowed to what a CHRISTian may endure, by upholding God’s Divine Laws of Love. Jesus Christ clearly demonstrated with His LIfe, that TRUTH, is not seen or heard with the ways of this world; but felt by a heart that is rooted in the Word of God. With this understanding, anyone can become a CHRISTian. A prime example of someone who understood this was Mahatma Gandhi; who led the largest democracy IN THE WORLD, to independence, in a way of NONVIOLENCE, LOVE, and PEACE. Exactly how Jesus Christ taught us how to live our lives, in a way that is pleasing to the Father of Creation. It is a wide known fact that He took the Teaching of Jesus Christ and adopted them, as his own. And with that, changed the world with his life and purpose. 1. How a child comes into this world. 2. How a blade of grass, has the molecular structure it has. 3. How the human body was designed. 4. How the sky is endless. 5. How the animals live and survive in the wilderness. 1. Jesus Christ on His Sermon on the Mount has said, that instead of ” Eye for an Eye ” , I have come to establish a new law. We must, “Turn the other Cheek “. Did not Mahatma Gandhi and the Indian people put this into practice in order to gain their nation Independence? Eye for an Eye would result in war. 2. Do unto others, as you would have done unto you. 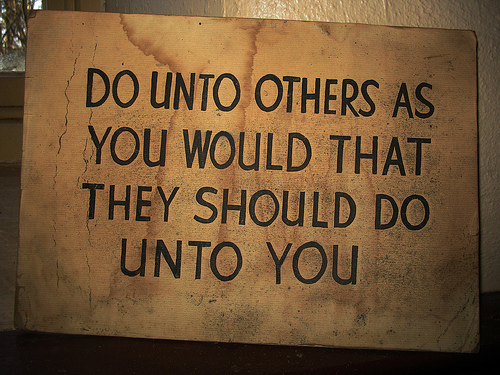 Jesus Christ has stated this as the Golden Rule. If we only took this to heart, and adopted this as a personal philosophy, there would not be so many people yearning to be loved in this world. That are feeling so lonely in this world. Jesus Christ, through this Golden Rule, is saying, that God requires us to invest the human heart with each person we encounter in our life path. EVERYONE is equal in God’s Eyes. There is no one more superior than the other. We just take different life paths. However, upon the temptation that Satan had brought to Eden, he introduced one of the 7 deadly sins of PRIDE. And Mankind ran with this sin, to stem off into various others sins to form. 3. We are to love not only those that love us back; but love our enemies, and strangers. We should love others, more than ourselves. SELF LOVE is professed by evil. Jesus Christ, through death of His Own Earthly Body, as the Son of God, showed us that we love, even to the point of death. SELFLESS, SACRIFICIAL LOVE is what is professed by Divinity. While seeking truth, we have to remember that God has a truth, and it is right in front of us. And it defies, what our human minds could ever imagine. The truth is right there in front of us. But in order to see it for its true value, we have to be rooted in His Ways of Divine Love; to which He says are beyond the ways of the world we live in. And when a heart is rooted in such ways, it will begin to see the true value of the things of this world; and how God views them, as well. Remember the things of value, are those things to which a pricetag is not attached, in its original form. If Man has put a pricetag on something of God’s Creations, that originally did not have one, then it is in direct violation of God’s Laws of Divine Love. Plain and simple. I guess God must be shocked and heartbroken what how far away we, as Mankind, have come from the greatness that we originally were created, by Him, to be. He puts the TRUTH out there, in front of our eyes to see; but many of us prefer to be blind to it. We must open our hearts to see Truth….and seek it with all of our heart. This entry was posted in Thoughts and tagged Christ, Christian, Eye for an Eye, God, God's Love, Golden Rule, Jesu, Jesus Christ, Jesus' Crucifixion, Love, Mahatma Gandhi, Seeking Truth, Self-love, SELFLESS LOVE, Sermon on the Mount, TRUTH, Turn the Other Cheek, Unconditional Love, World History on October 10, 2013 by foodforthespiritualsoul. This is definately one of the hardest things to do in life. And practiced by very few. I truly think that once you have achieved the enlightenment of what it really means to LOVE UNCONDITIONALLY, one will understand what Jesus Christ meant by the Title Quote of this entry. Jesus’ principles of how to treat our fellow Man is truly a way of life that is part of DIVINE LAW; not manmade laws. “To love our enemies”; and to “Forgive those who Tresspass Against Us”, all words of Jesus Christ’s Teachings…requires to conquer the sinful human nature which would make us “only love those that love us back”; and to “stay angry at those who have wronged/tresspassed against us”. What did Jesus mean by these teachings? I think it is very simple….God Loves us all: The Sinner; The Lost; The Faithful; The Angry; The Sick; The Poor; The Rich; The Believer, and the Nonbeliever. God loves us ALL, as His Creations, all the same. For those who believe that Jesus came and contradicted what God had preached in the Old Testament of the Bible, I think then, that they have completely missed God’s points within that book to begin with. Jesus came to live on this earth, to show us how to differentiate between MANMADE LAWS and DIVINE LAWS, when it comes to seeking God. Jesus’ message was quite consistent with God’s teachings; we just have to “read between the lines”. Look at how Jesus chose the disciples that He did; they came from ALL DIFFERENT PATHS OF LIFE. From fishermen, to taxcollectors, to doctors, to warriors. Even those that He has healed along His Journeys on this earth, they were all condemned by Man and their Manmade Laws, but through their faith, Jesus told them that they were healed in the Eyes of God, through their faith in believing that God can help them of their wrongs and faults. Such love is truly unfathomable….and it is always awaiting for us with arms wide open, from Up Above. So, next time, when you are feeling weak to the ways of this world….ask yourself this question, “Would you like to be treated, they way that you have treated others?” The reward is far greater in following God’s Laws, that are NOT in line with Manmade Laws….than to give in to human nature that IS in line with Manmade Laws. This entry was posted in Thoughts and tagged Armor of God, Battling Evil, Christ, compassion, discernment, enduring trials, evil ways are temporary, Faith, Fight over souls (good vs. evil), Forgiveness, God, God's Love, Golden Rule, Jesus, Jesus Christ, Jesus helping Man, Sermon the Mount, Unconditionally Love, unconditoinal love on October 14, 2011 by foodforthespiritualsoul.